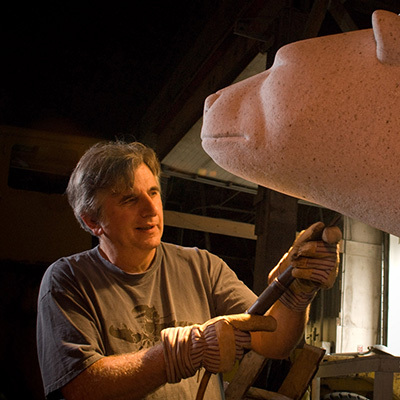 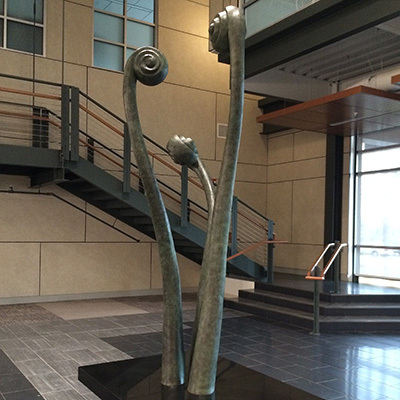 This piece was commissioned in conjunction with the construction of the new Phelps Science Center at PEA. 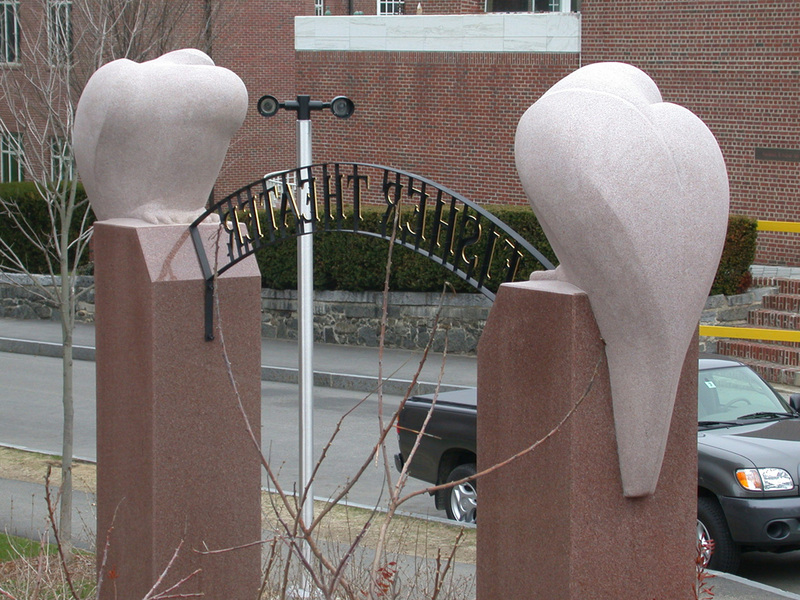 The simple depiction of dove-like birds are carved on top of 14′ tall granite pillars. 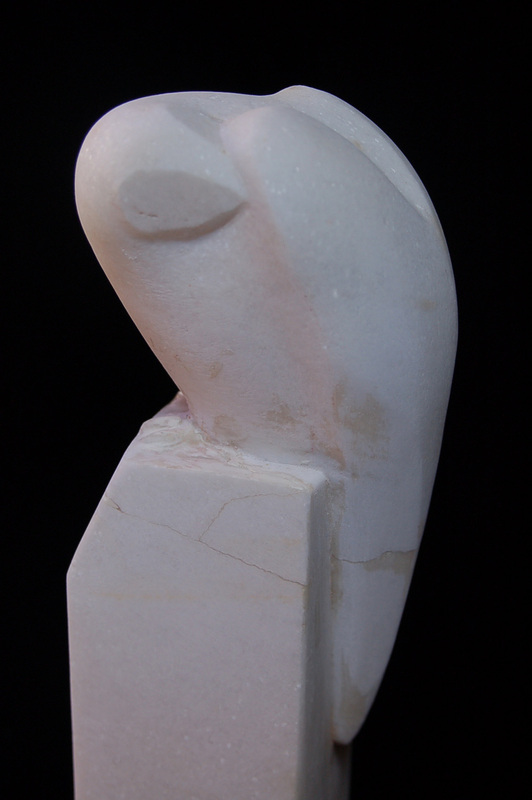 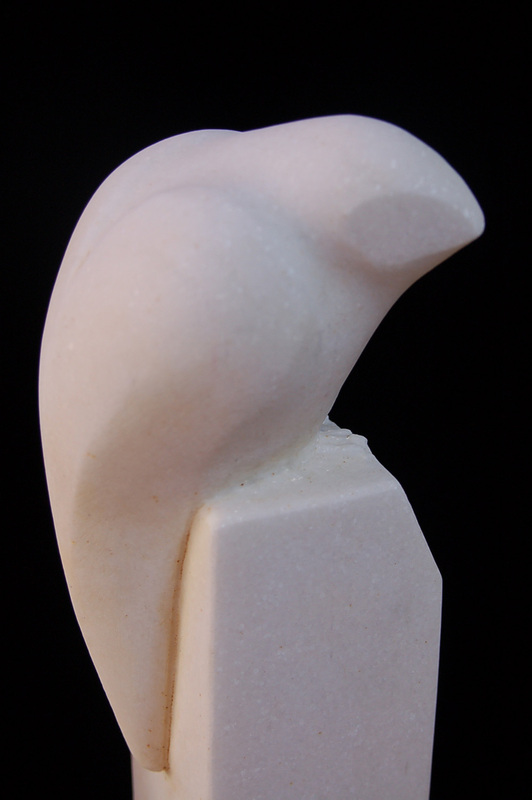 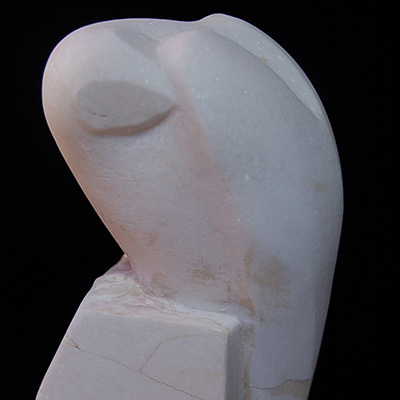 The chiseled texture of the birds appears white next to the polished pillars but are, in fact, carved from the same pieces of stone. 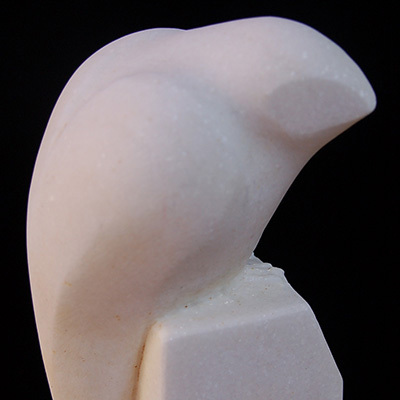 The two blocks weighed 25 tons each when purchased from the quarry in Quebec. 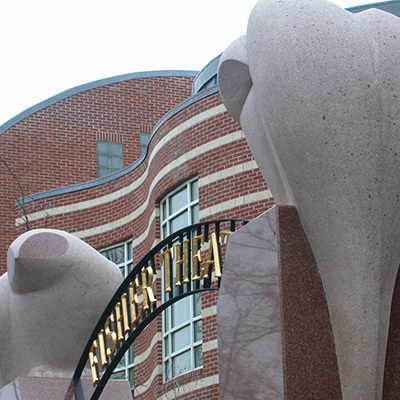 The rose color of the stone blends in well with the surrounding brick buildings. 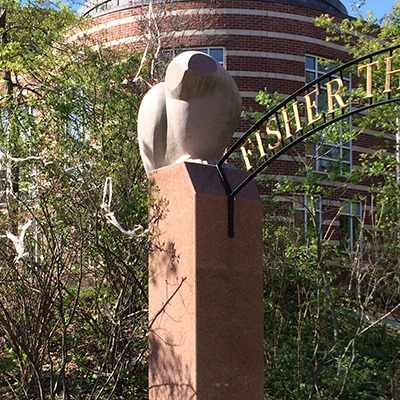 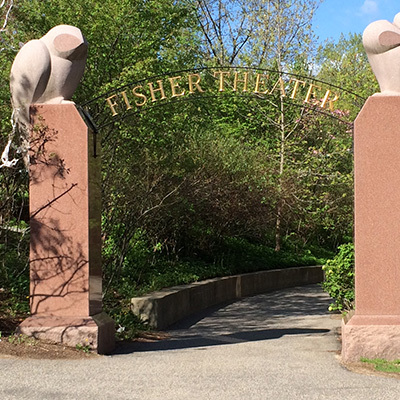 The two are joined by a steel arch designating the location of both the Fisher Theater, as well as the outdoor classroom and wetlands area behind the science center. 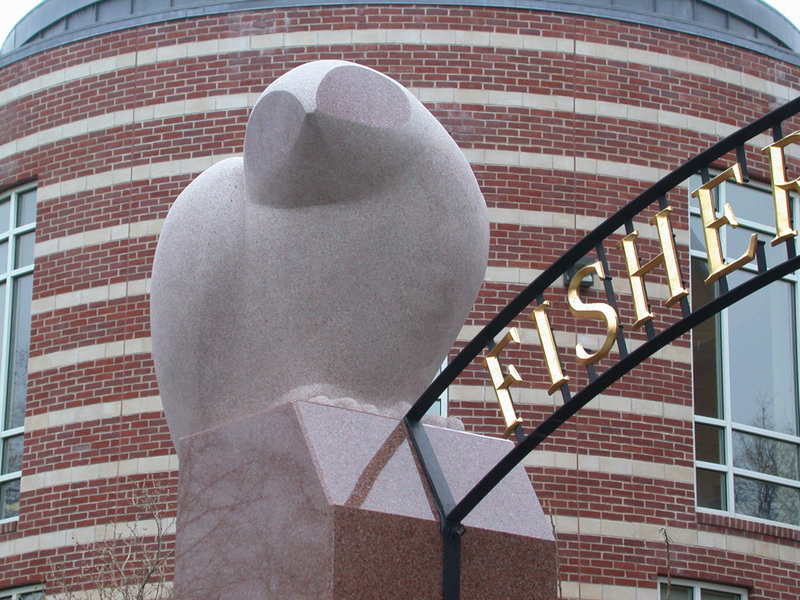 The sculpture is right across the street from the Lamont Art Gallery, the building in which I made my first sculpture as a student there in 1967. 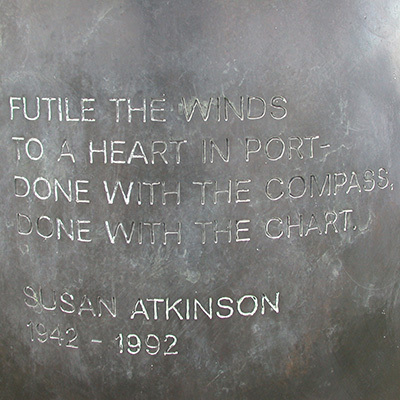 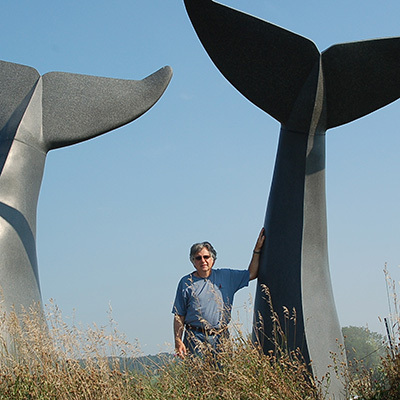 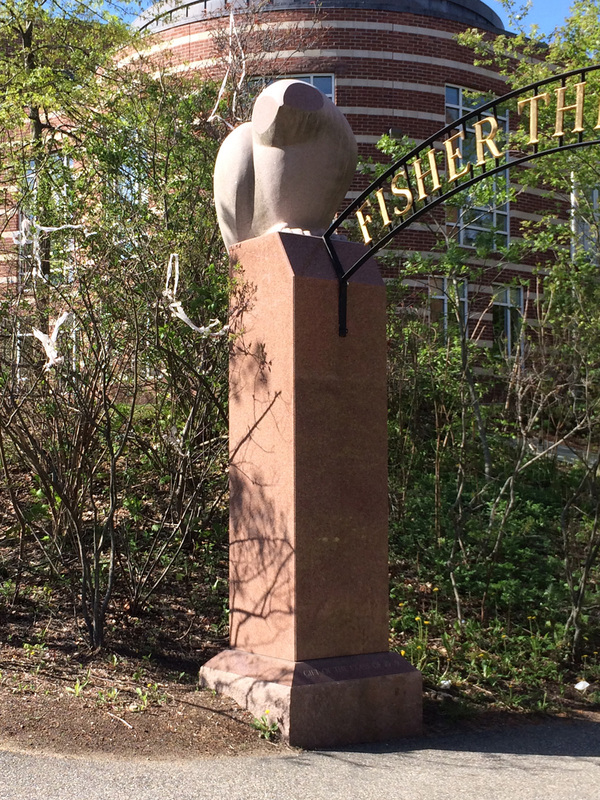 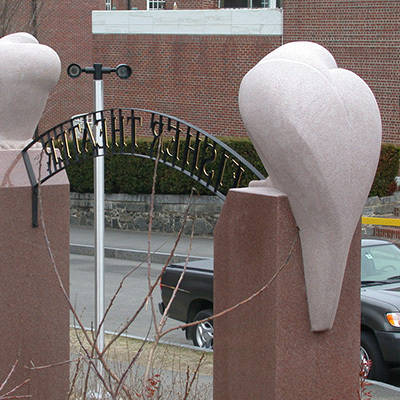 The cost of the sculpture was partially covered by a gift of the class of 1969 on the occasion of our 30th reunion. 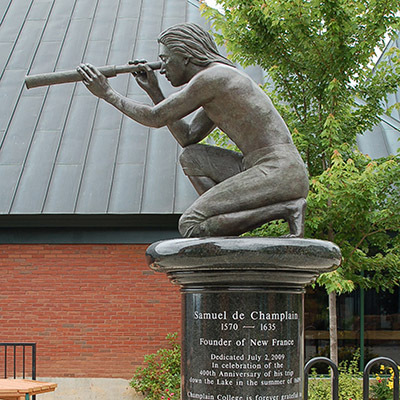 Location: Philips Exeter Acedemy, Exeter, NH. 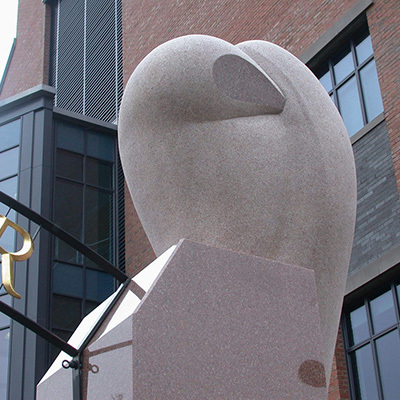 Directions: Take Route 101 off I 93 towards Portsmouth and Hampton Beach. 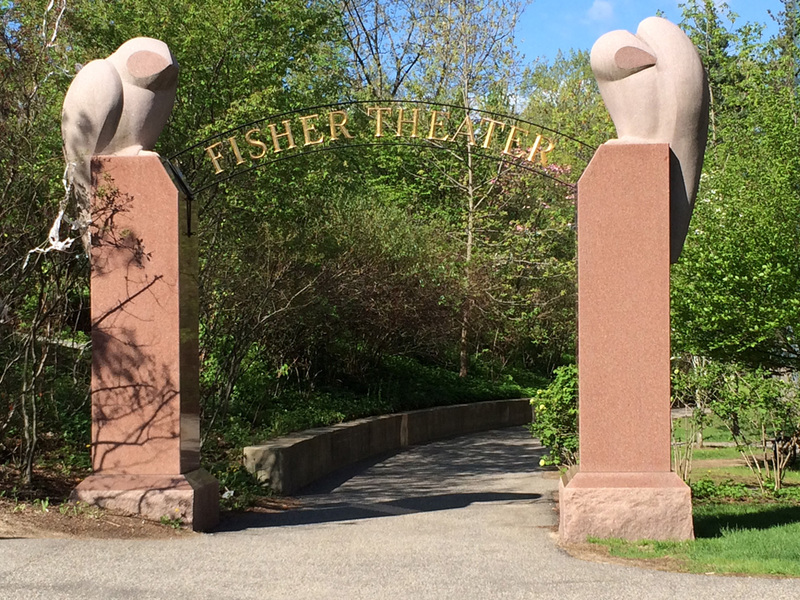 Take one of the Exeter exits to Tan Lane on the Phillips Exeter campus. 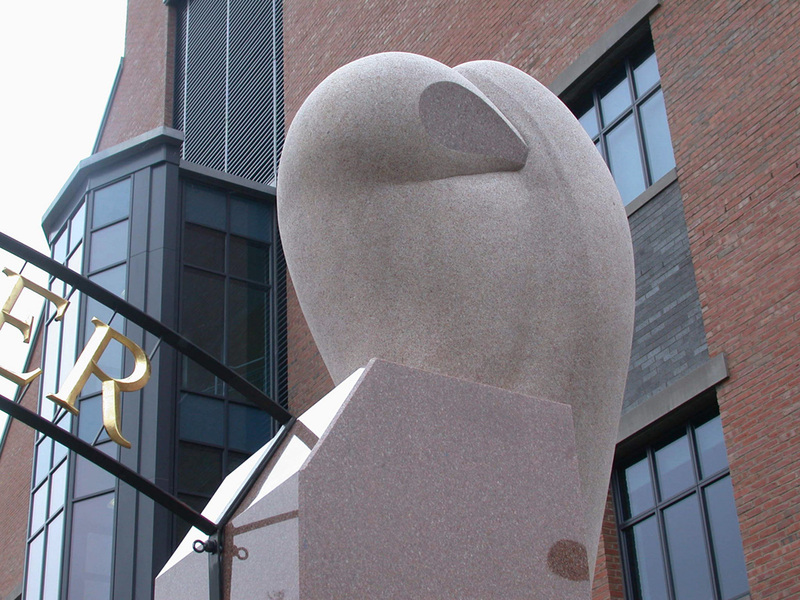 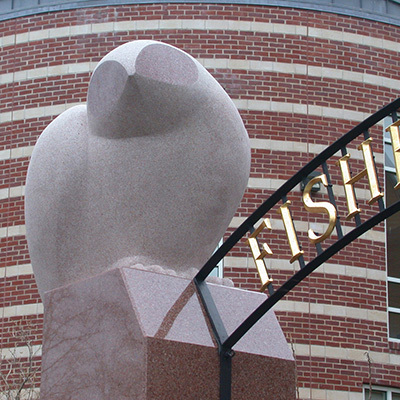 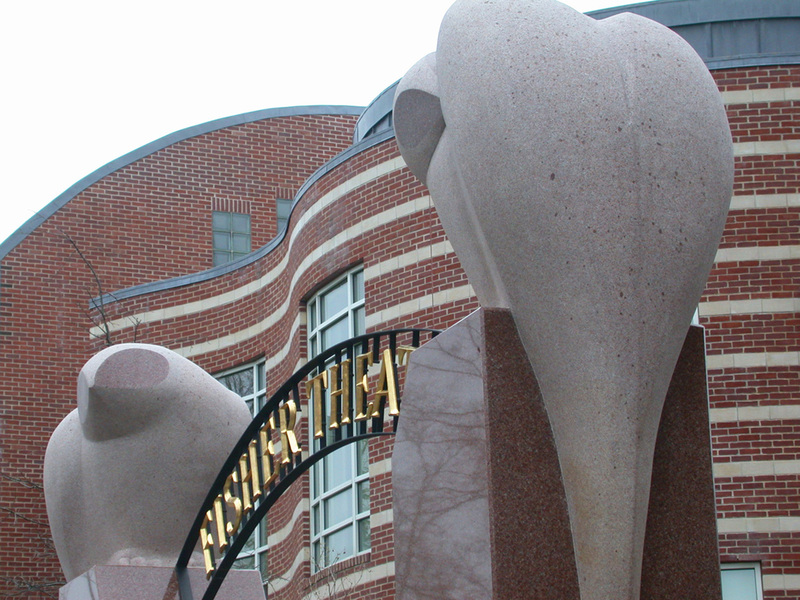 Sculpture is located between the science center and the music building and across the street from the Lamont Gallery.